We were the first group in Maryland to establish a shelter that does not euthanize animals after four or five days. 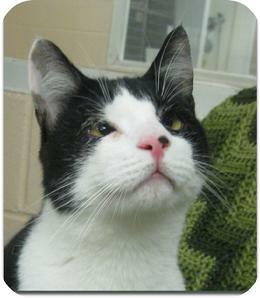 Our shelter holds adoptable animals for as long as it takes to find them homes. 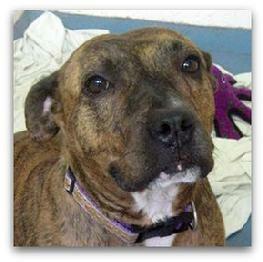 you visit our shelter, you will see Carmen, waiting with a ball in her mouth. We hope you will want to adopt her. 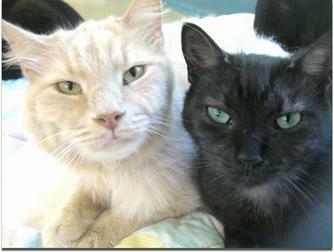 Sam and Ming were recently adopted to the same home. Sam had been at our shelter since 2004 and Ming since 2005. They are best buddies. We spend donations on adoption ads in order to achieve these successful results. Our purpose is to alleviate suffering of abused, unwanted, and neglected animals. Many animals come to us with illnesses and deformities. Larry had a medical condition where all his eyelashes had grown inward. They constantly rubbed his corneas and caused unrelenting pain. It was sad to watch him use his little paw to rub his face, all in a futile effort to end the torment. He needed an operation right away! 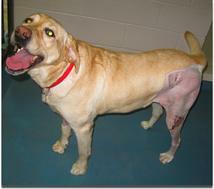 Before- This photo shows Frankie�s shocking condition when he was rescued. The harsh reality is, someone neglected to feed him. When the end was near, a person threw him away in a cruel act of abandonment. So, just as Frankie had been alone in his suffering, he seemed destined to take his final breaths-by himself-never knowing anyone cared. After-We promised Frankie we would do everything possible to help him. 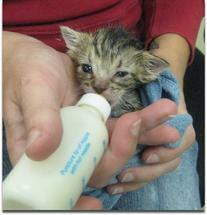 Prompt veterinary treatment for starvation and dehydration saved his life. Frankie never gave up. He wagged his tail, even though he was too weak to lift his head. With plenty of TLC, he became stronger with each passing day. The little dog with a shell of a body and hopelessness in his eyes, rallied to the kindness of strangers. Adoption Follow-up: Frankie was adopted after eight months at our shelter. He has come back for visits. The family has since adopted a puppy from us, and Frankie generously shares his beds and toys. The dog who learned about kindness at our shelter has a loving heart for the newcomer. Another priority is to have all pets spayed or neutered. We offer a low-cost spay/neuter program. Every single animal we take in is altered before the animal is placed in a home. Humane education is crucial for getting at the root of cruelty. Studies have shown that many violent offenders abused animals before committing crimes against people. Our shelter has programs for children of all ages. We plant the seeds of kindness in their minds and hearts, and, thereby, are working toward a compassionate tomorrow. Our goal is to go "the extra mile" and adopt out as many animals as possible to responsible homes. The animals we take in have seen the worst side of mankind. They deserve loving families and the best we can do for them. These animals are now enjoying life with their new families. and a new lease on life. Construction workers found Paulie in an abandoned house. He was crying for dear life. Sadly, his mother lay dead beside him. We remember how hungry Paulie was. It was a case that broke our hearts. As part of our educational efforts, we tell people to refrain from giving any animal cow�s milk. 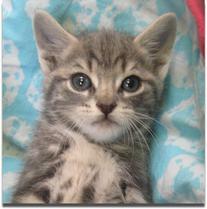 When bottle-feeding, use KMR formula for kittens and Esbilac for puppies. These formulas are available from veterinarians and pet supply stores. <?xml:namespace prefix = o ns = "urn:schemas-microsoft-com:office:office" /> We also maintain a 35.8 acre wildlife sanctuary. This land will remain undeveloped and will provide wildlife with a valuable habitat.